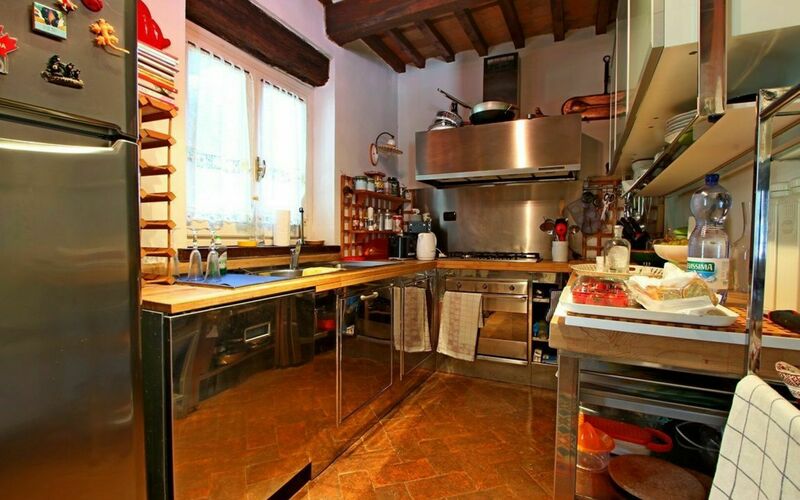 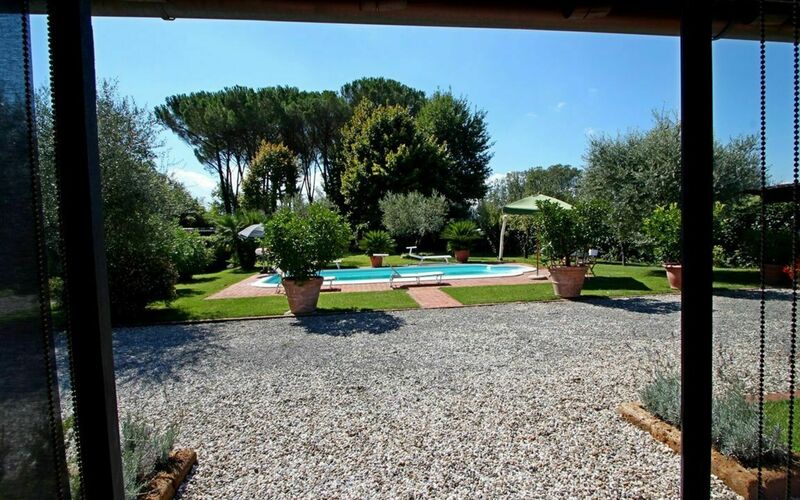 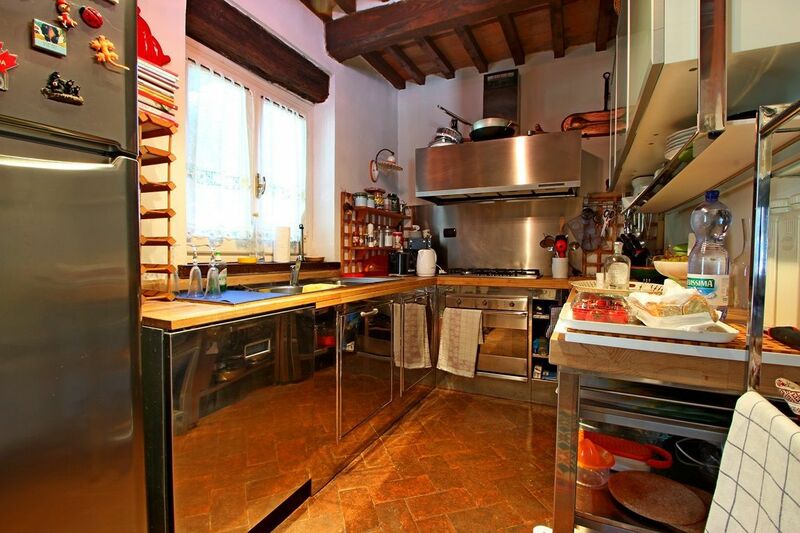 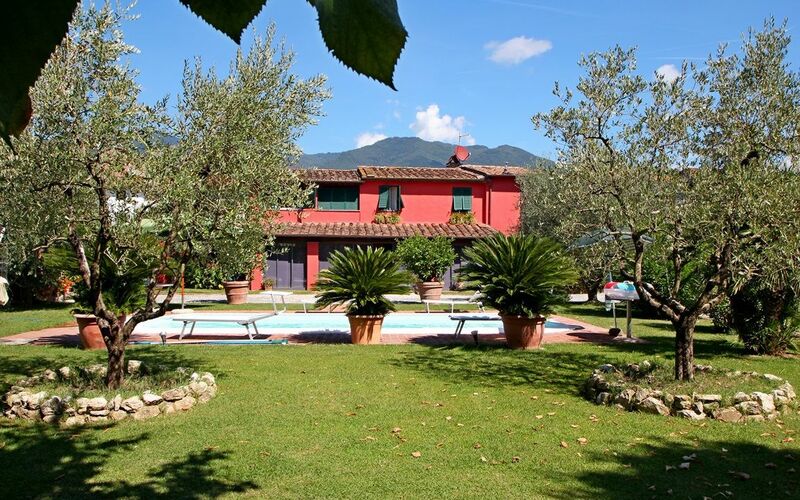 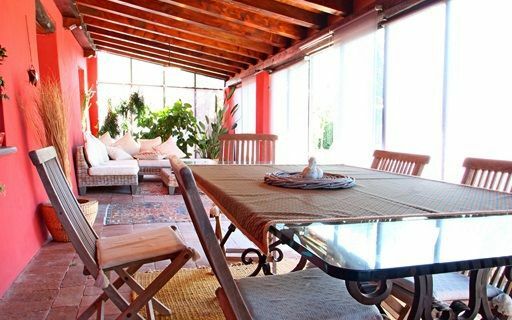 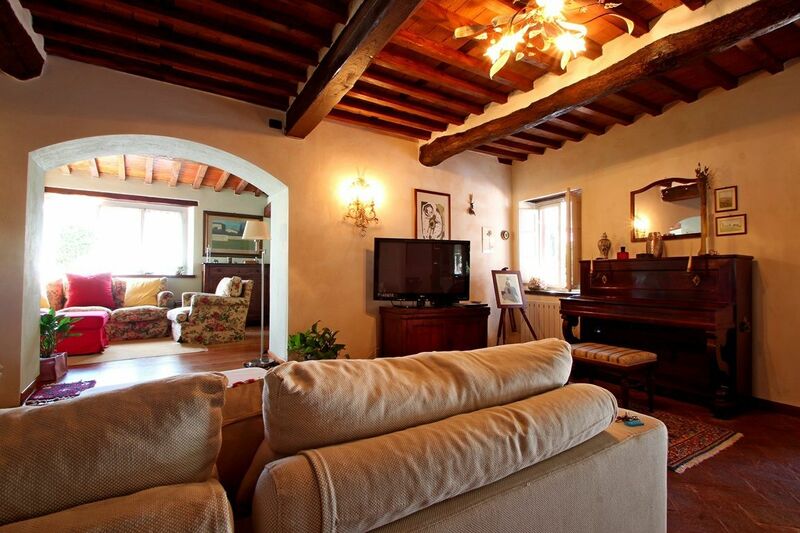 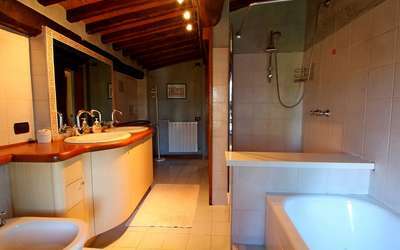 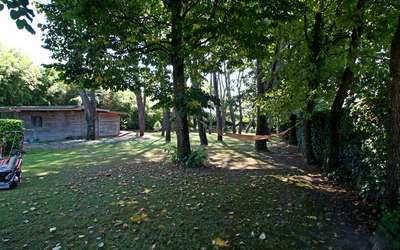 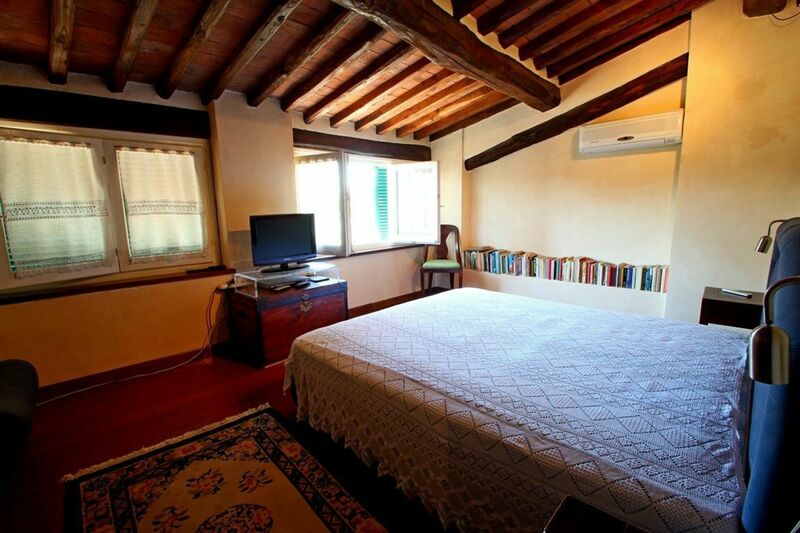 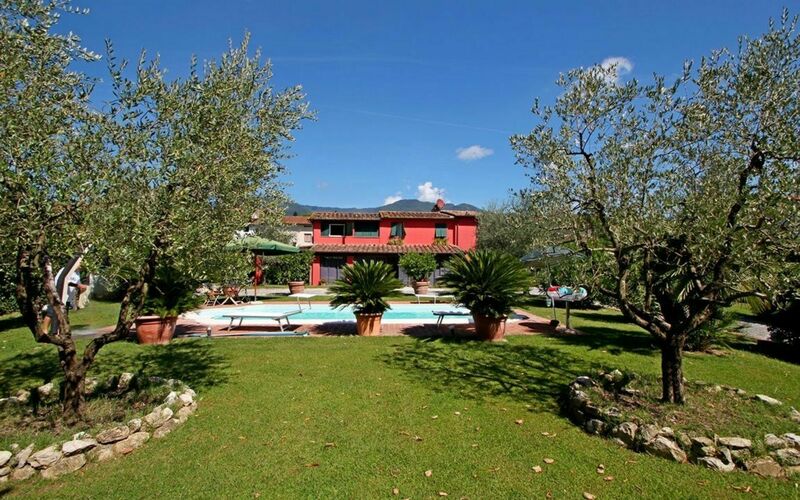 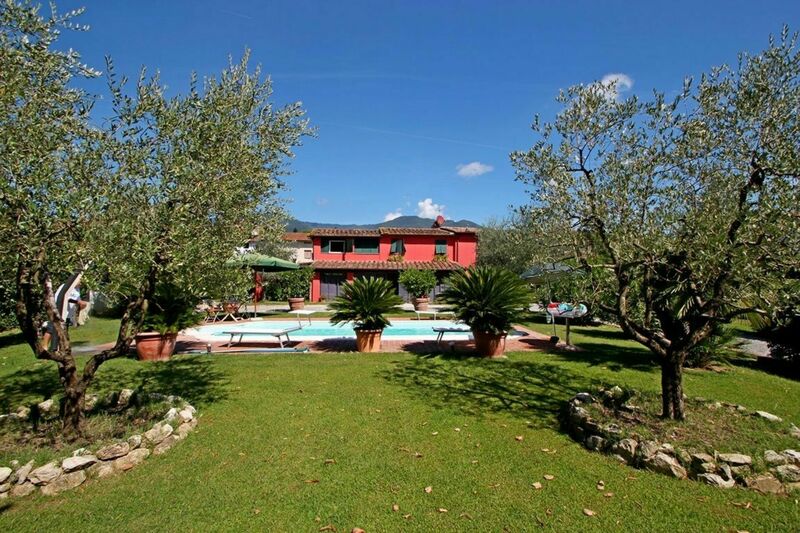 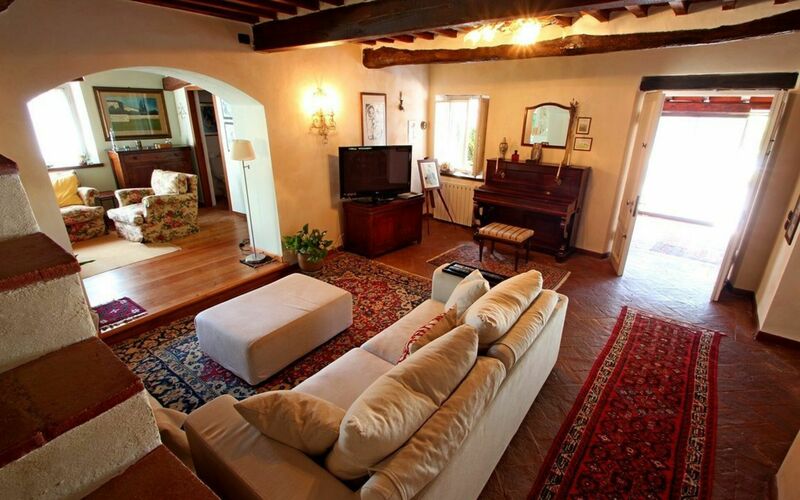 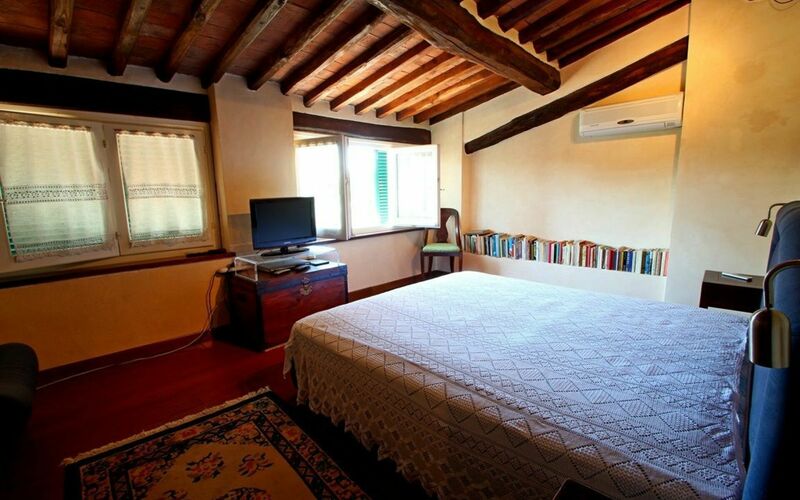 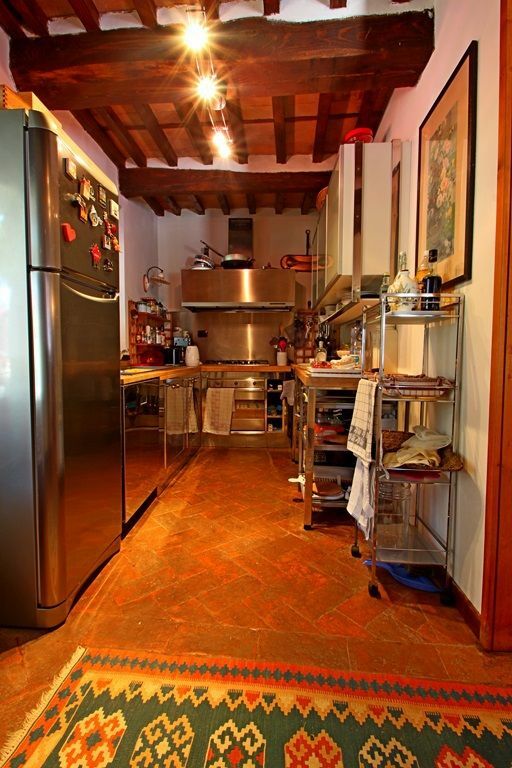 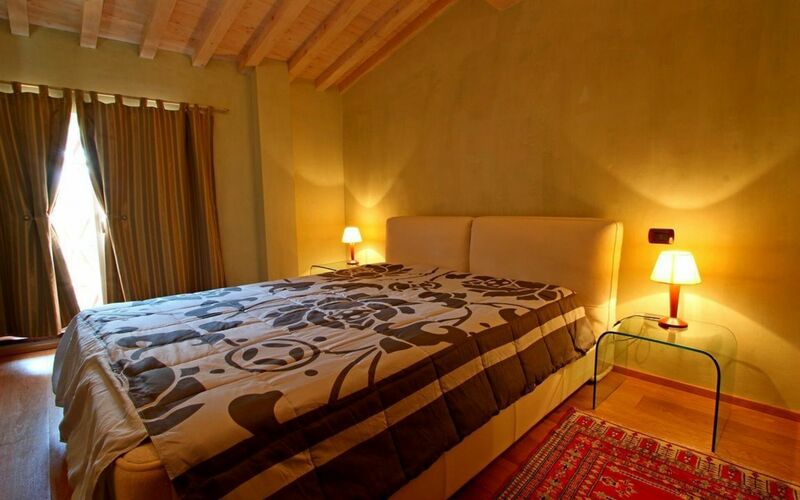 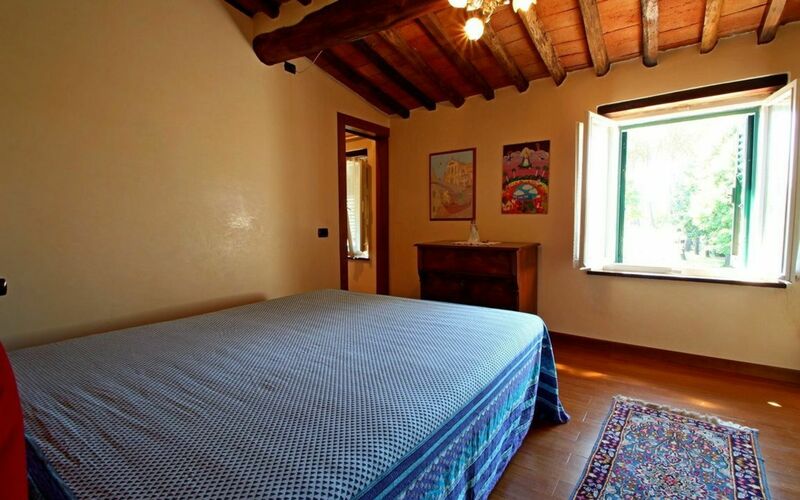 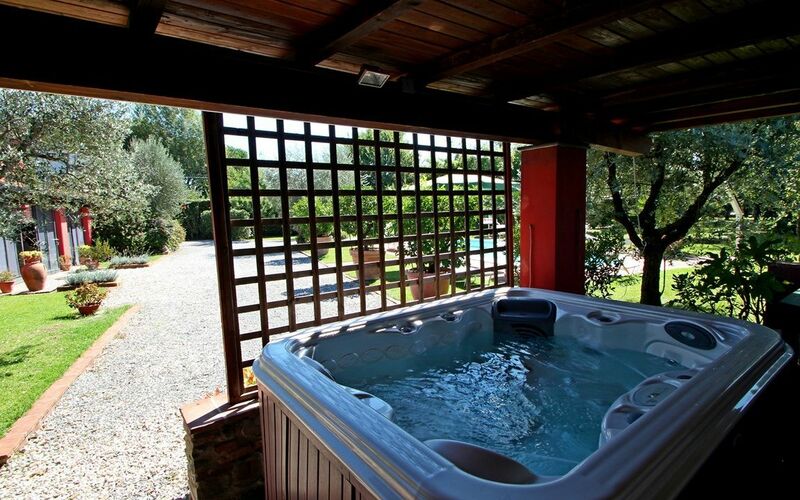 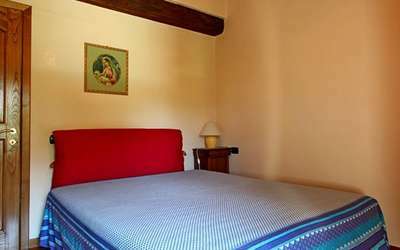 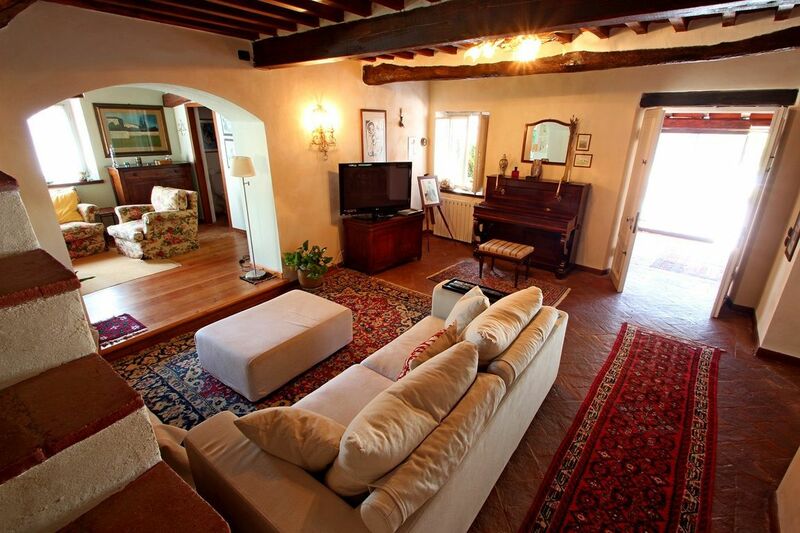 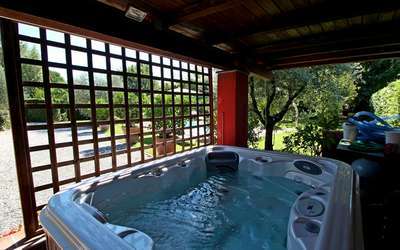 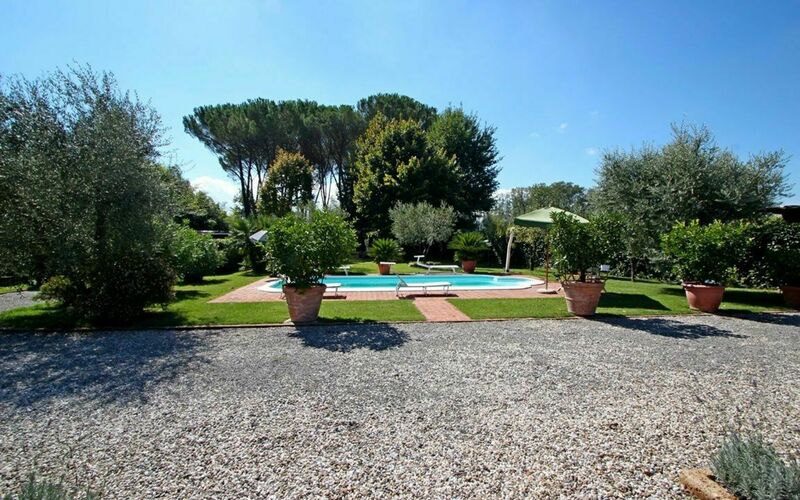 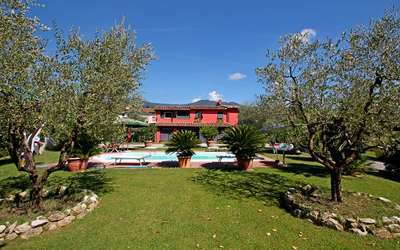 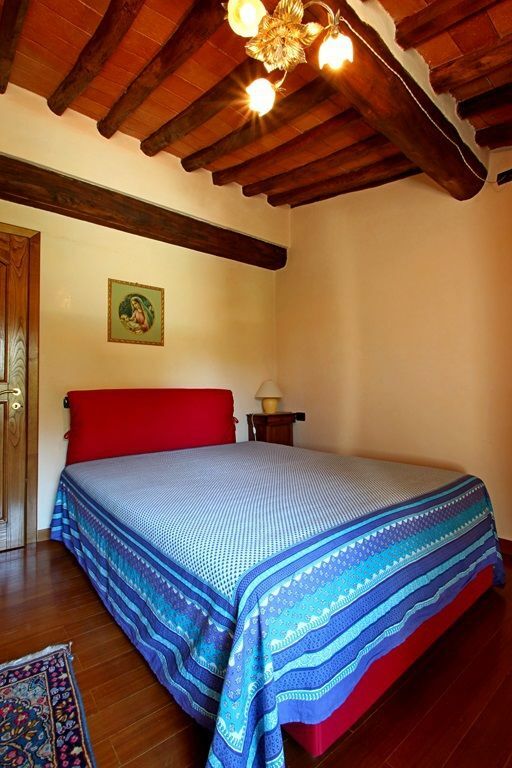 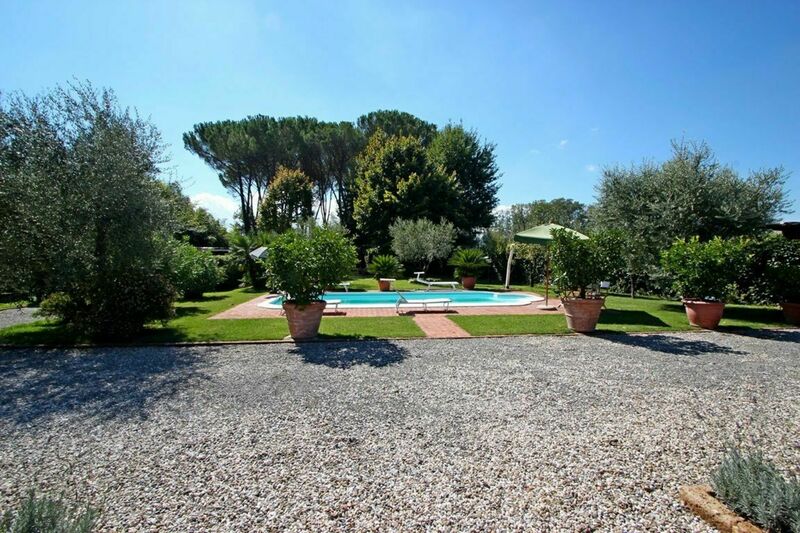 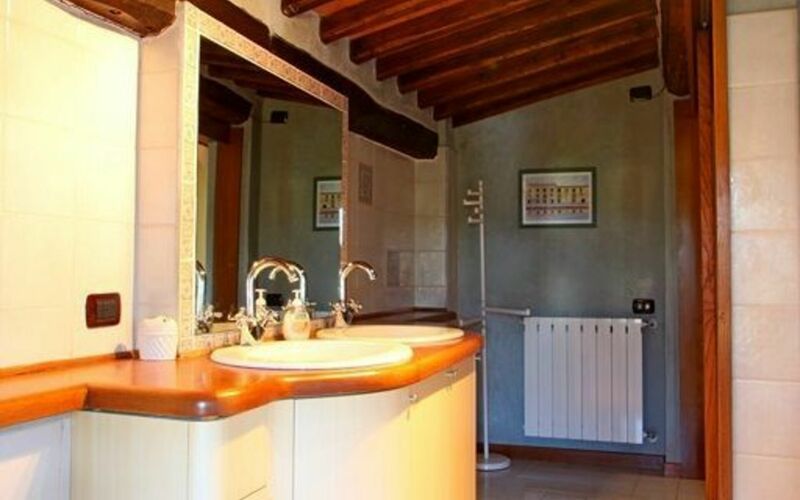 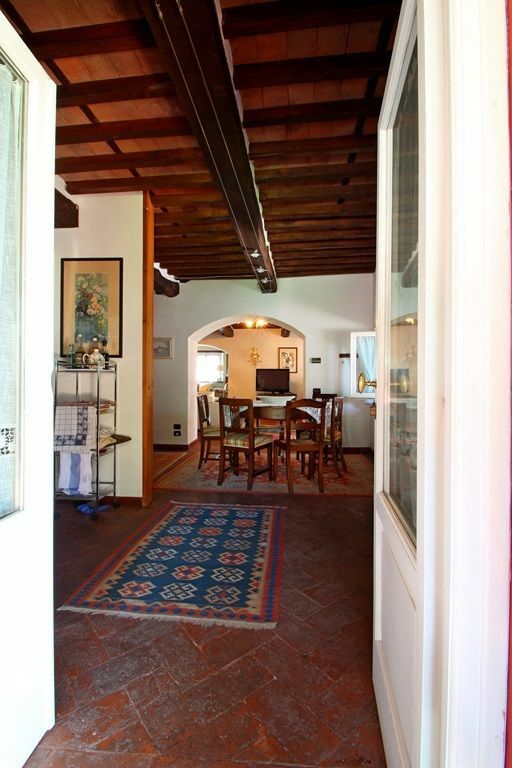 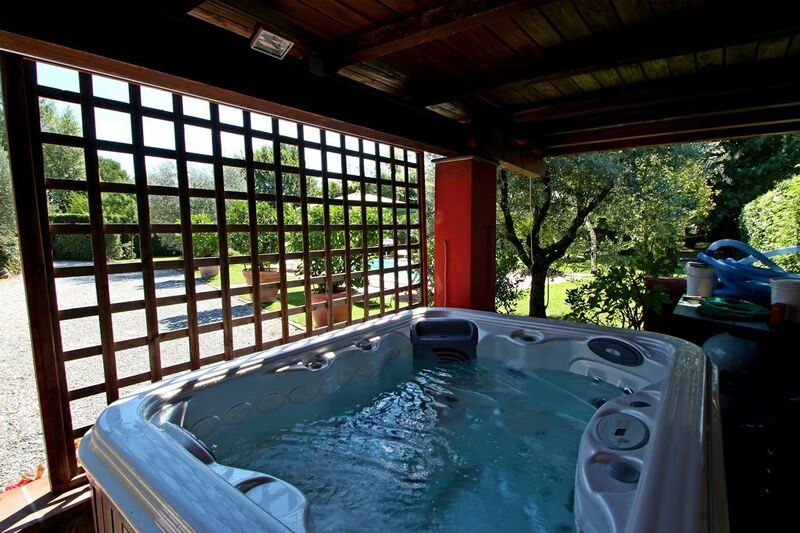 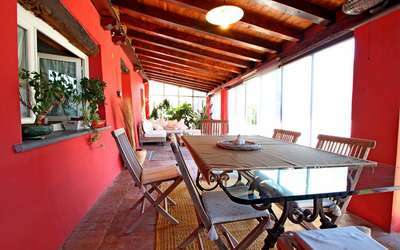 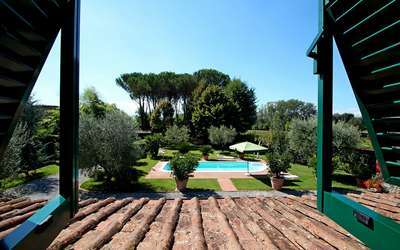 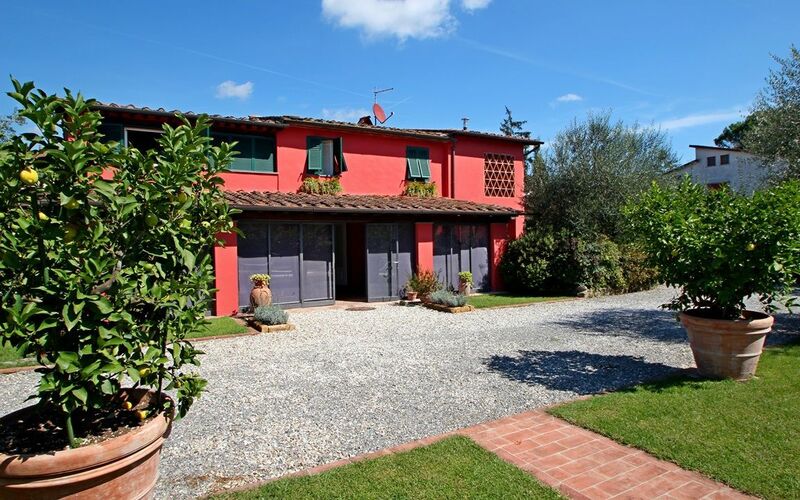 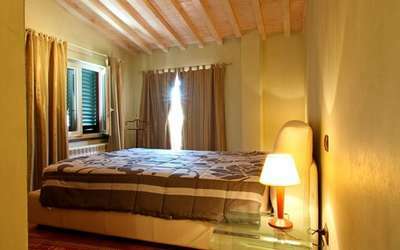 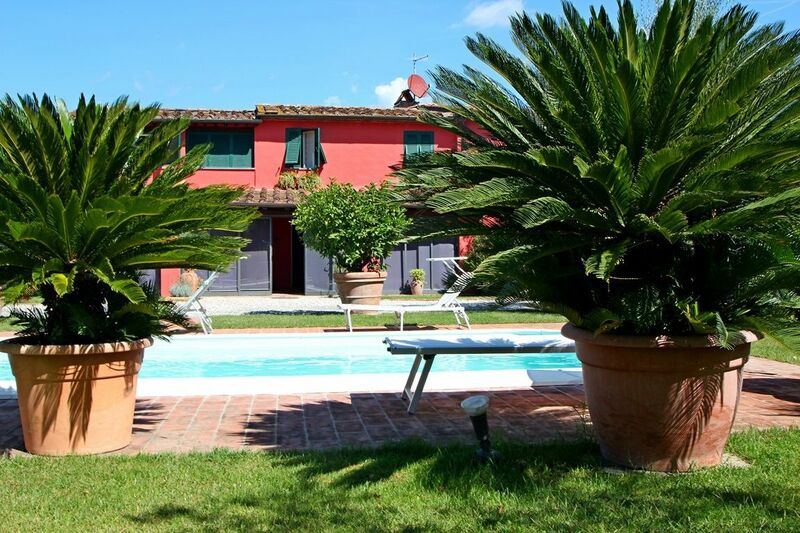 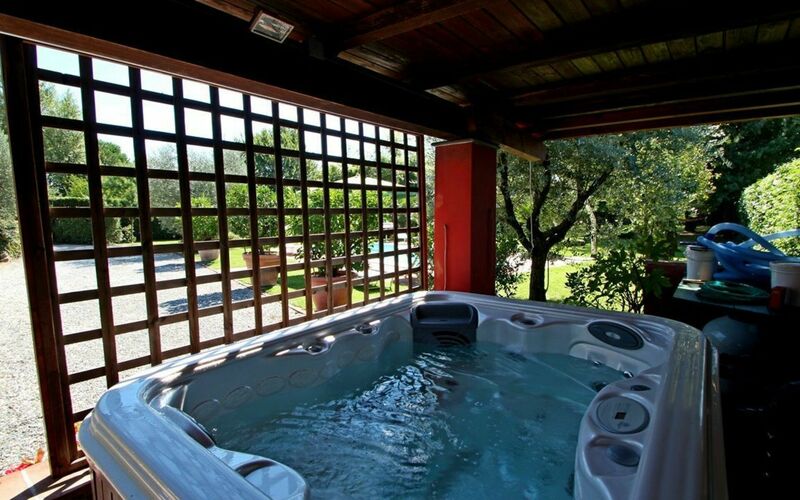 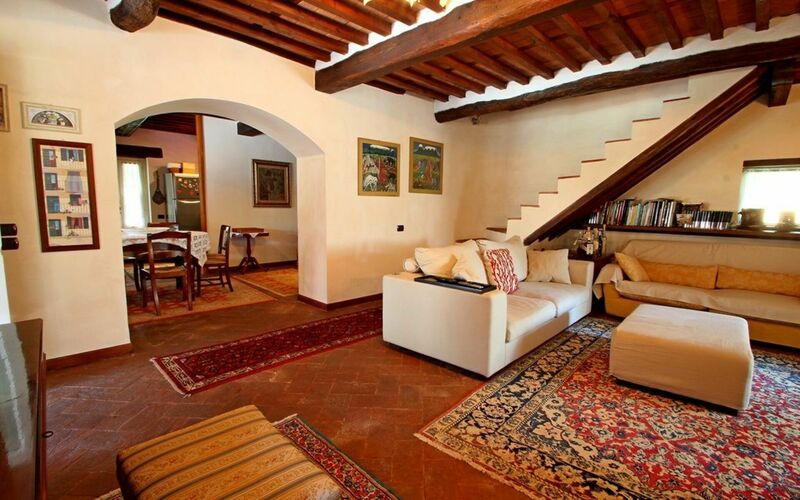 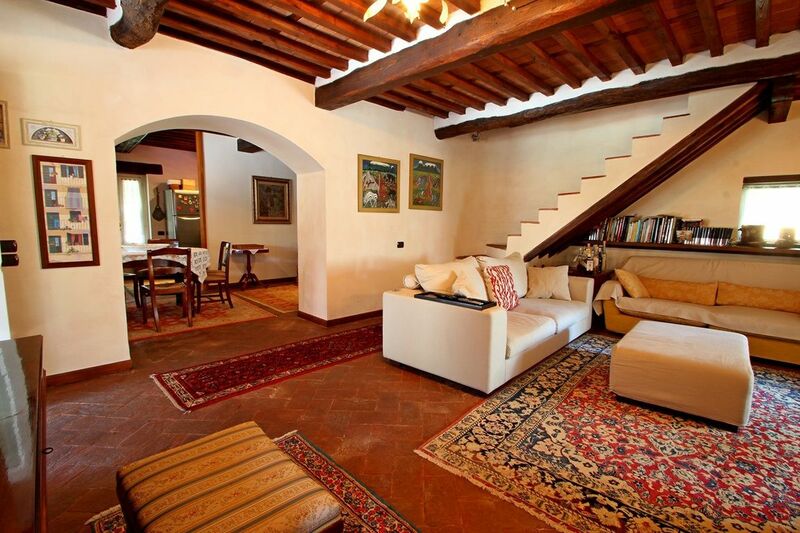 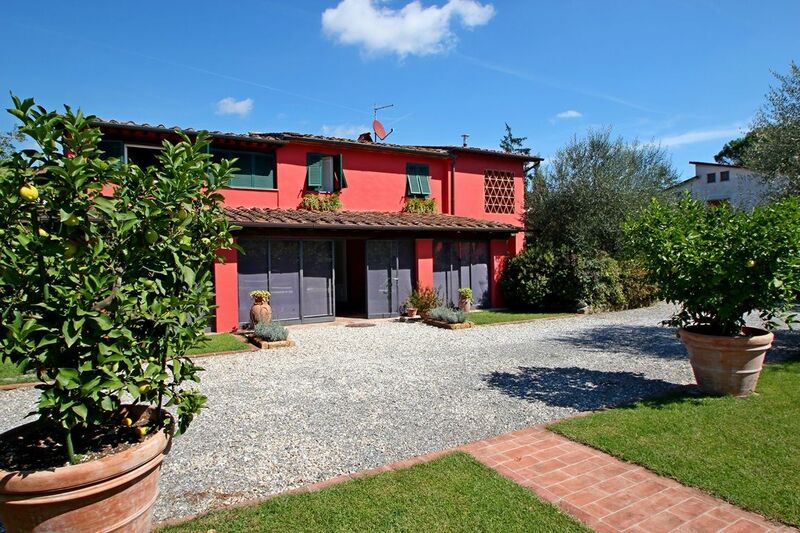 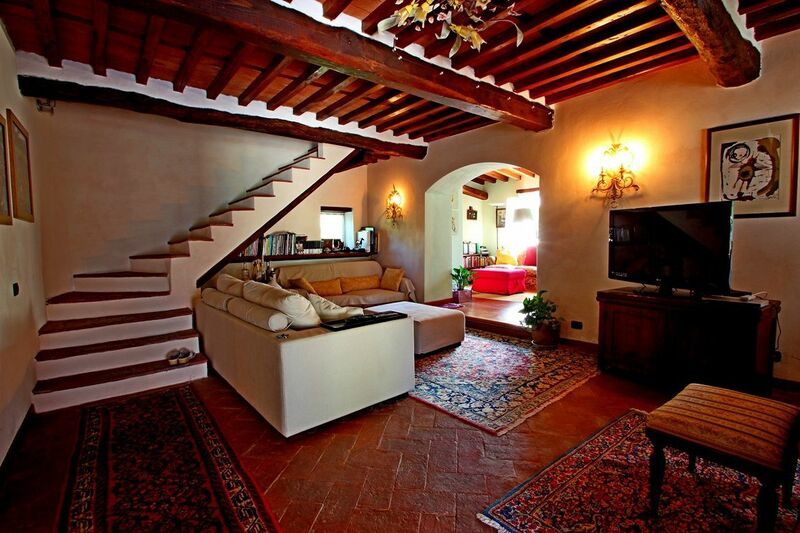 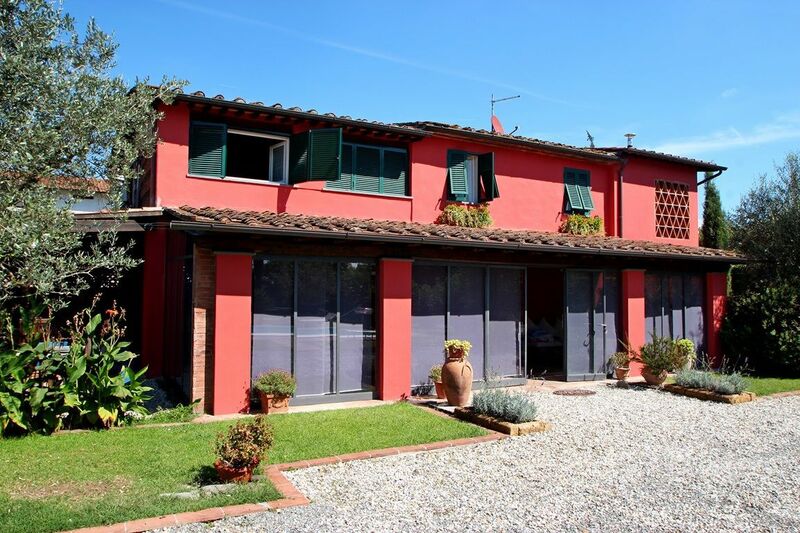 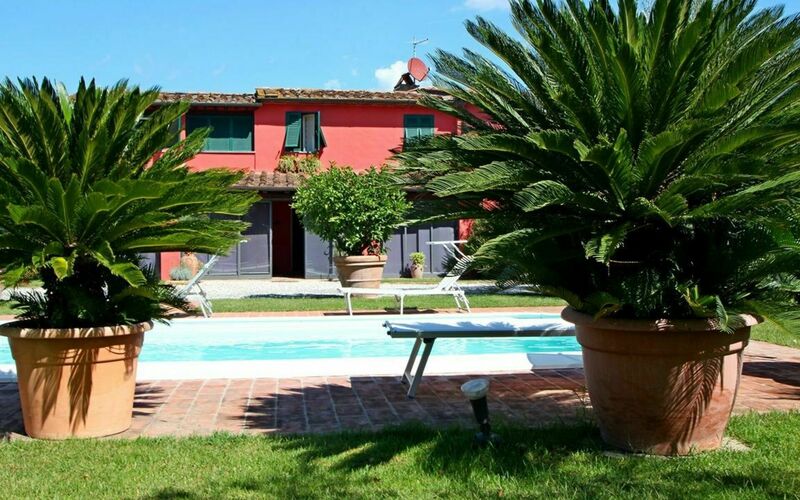 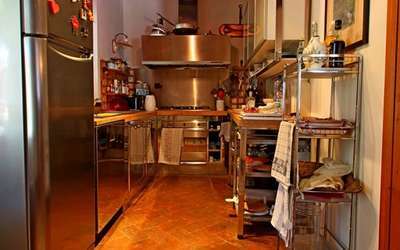 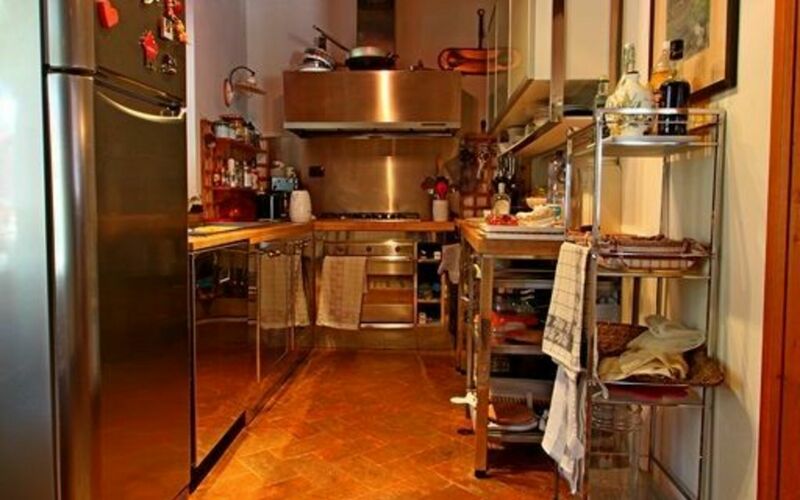 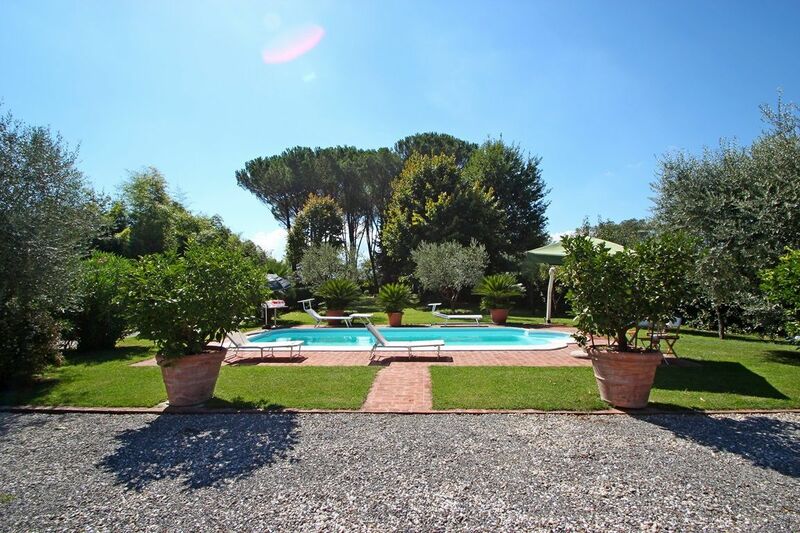 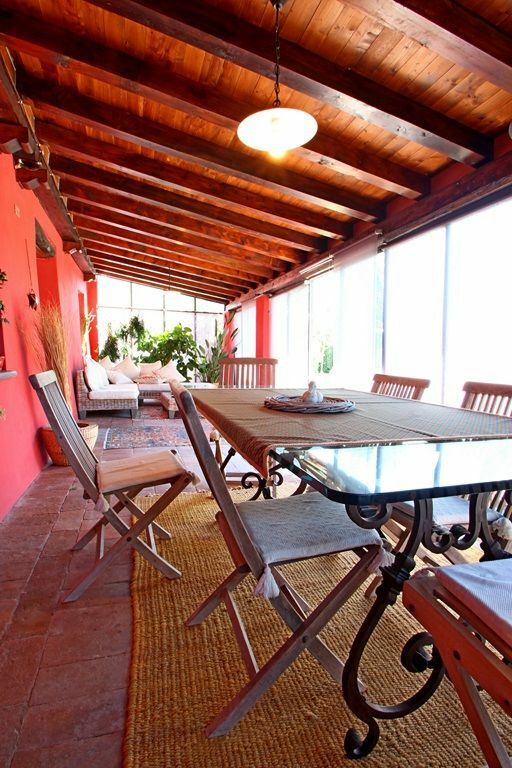 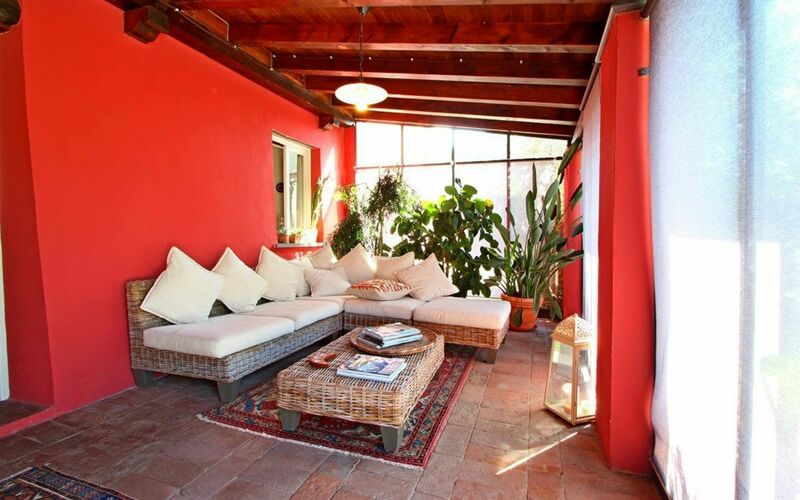 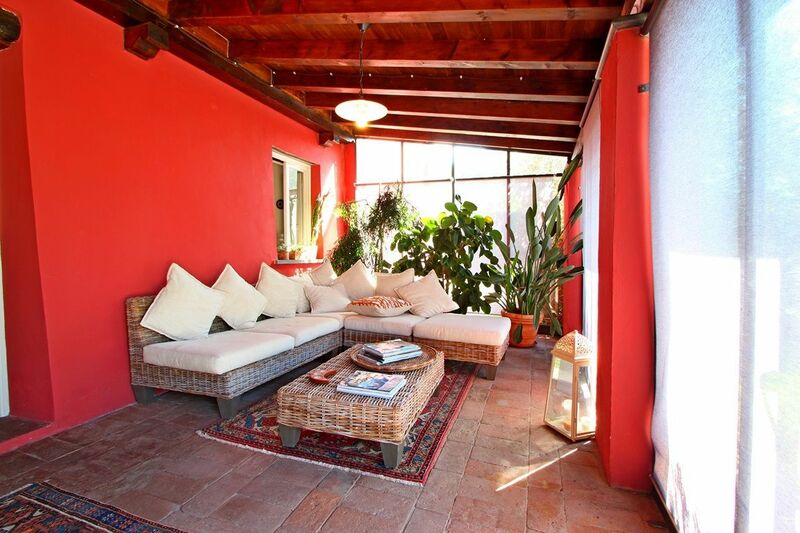 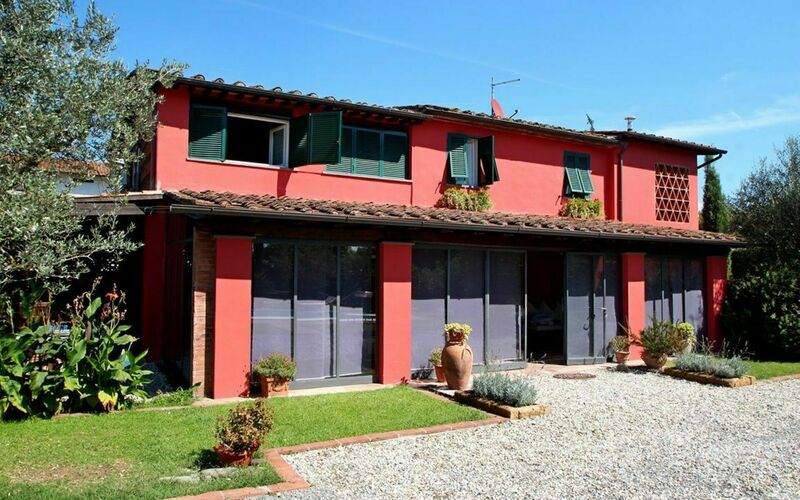 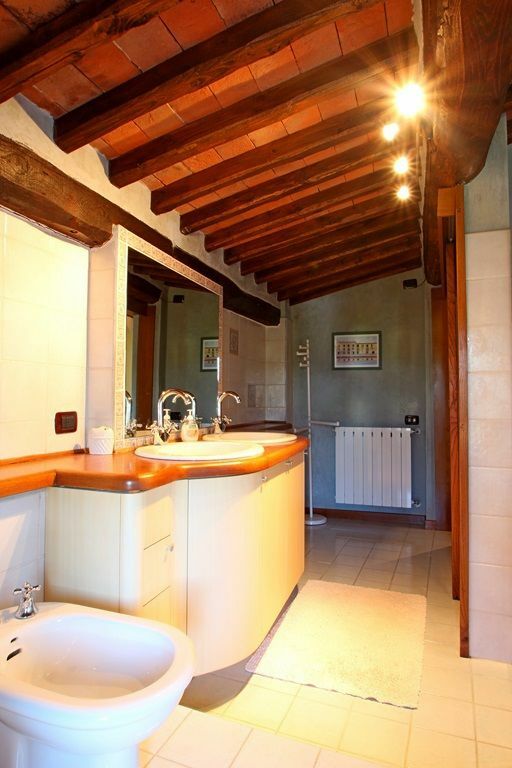 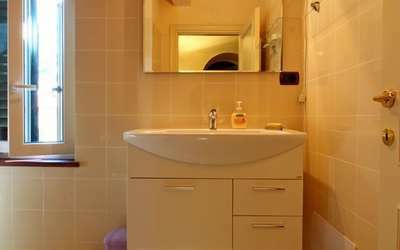 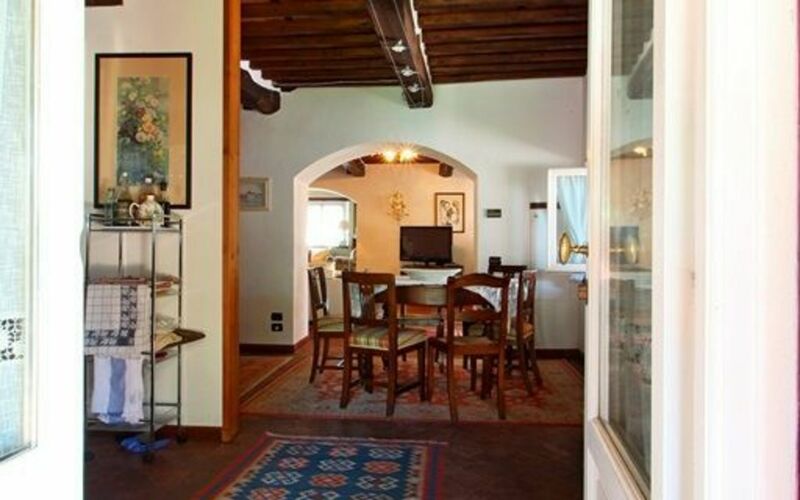 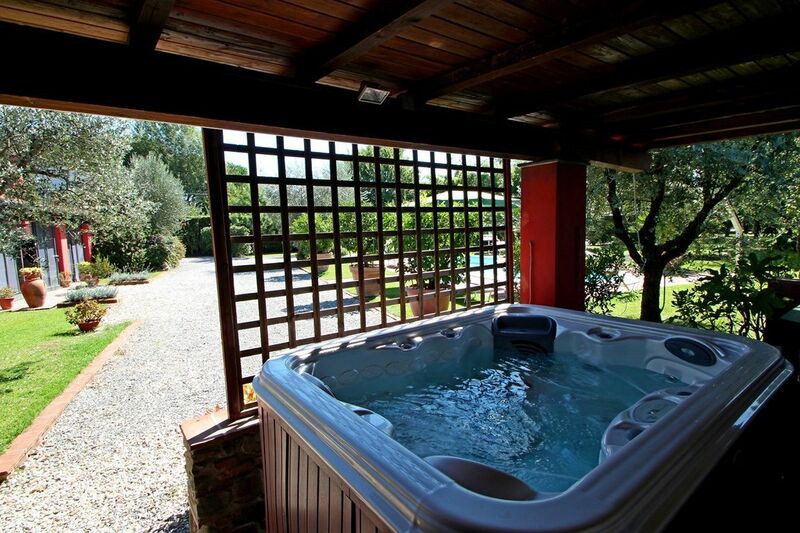 Villa Rossa is a very beautiful and excellently equipped villa 10km from Lucca in Capannori - not far from the magnificent old villas, which are open to visitors. 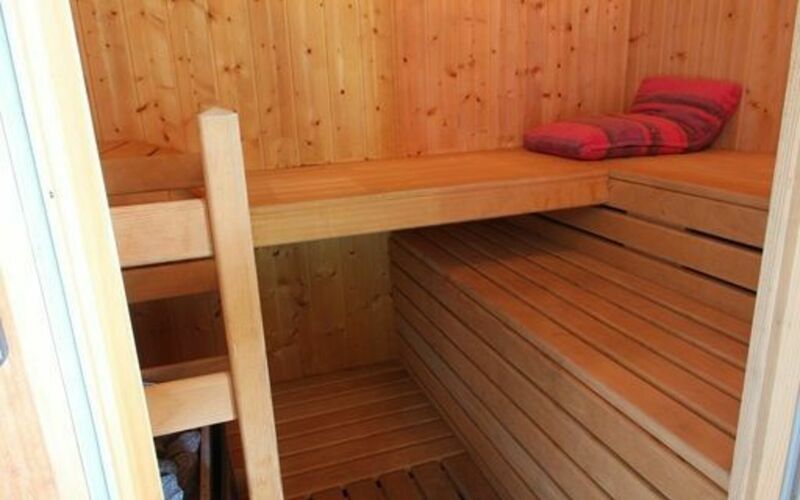 It is very comfortable and quiet place. 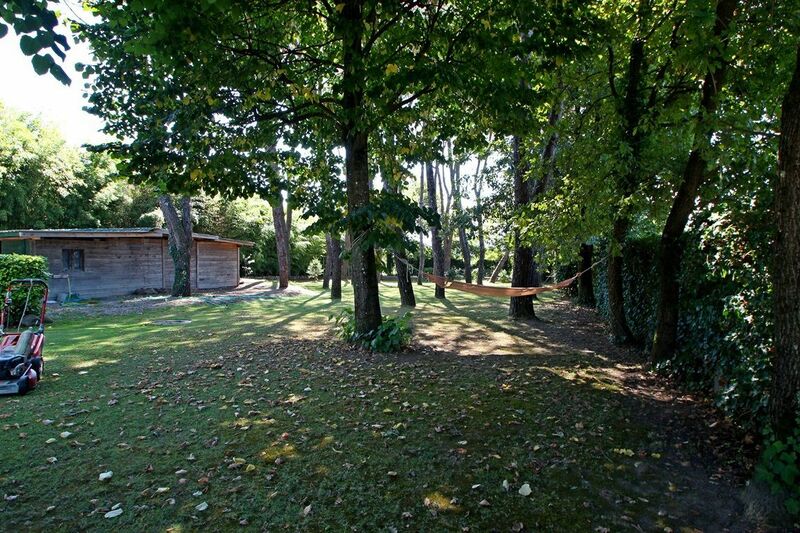 The surprisingly large park is fenced. At the back of the park is a a bowling green (boccia), in between hammock and places where you can relax. 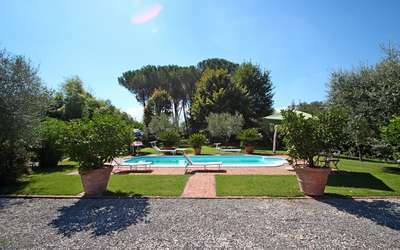 Between the park and the Villa is a outdoor pool (10 x 5 m , 1.60 deep) open from May to October, with sun terrace, loungers, tables and parasols. 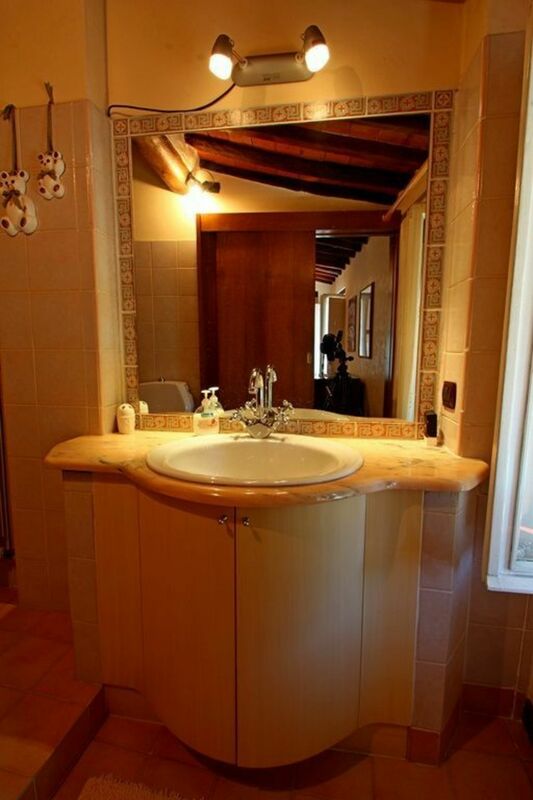 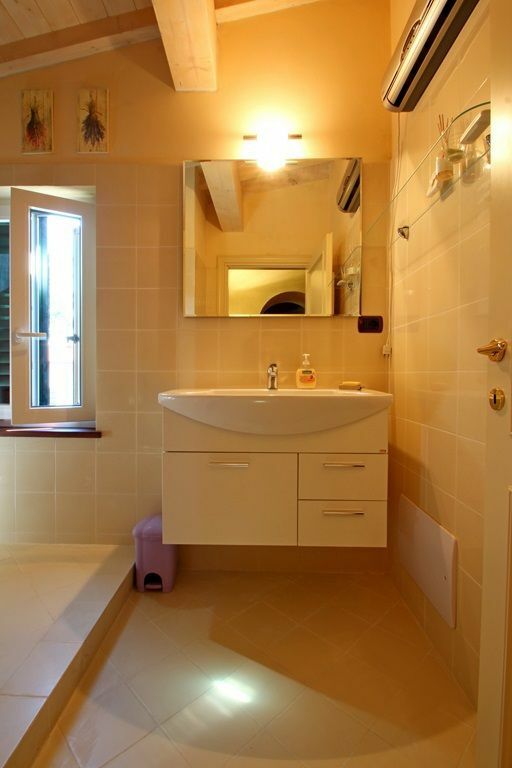 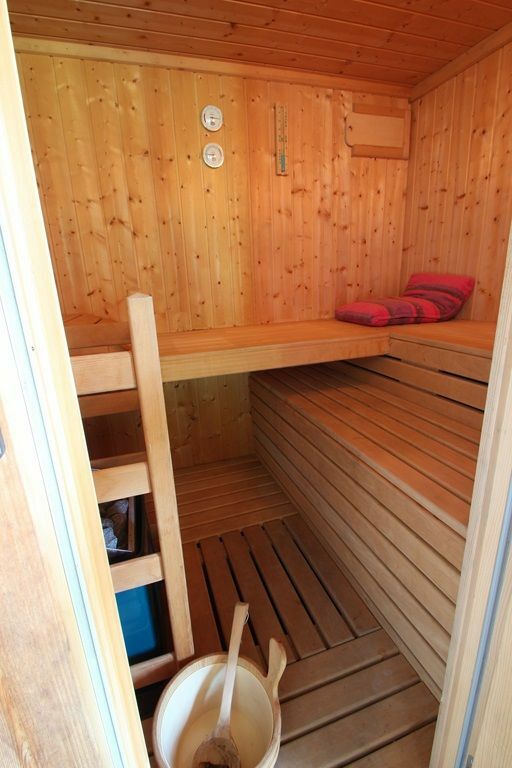 Right next a small house with sauna and whirlpool tub that can be used in winter. 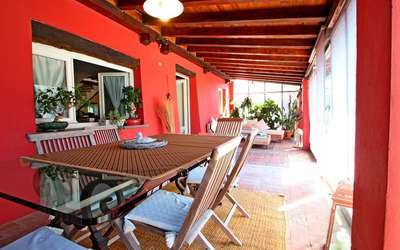 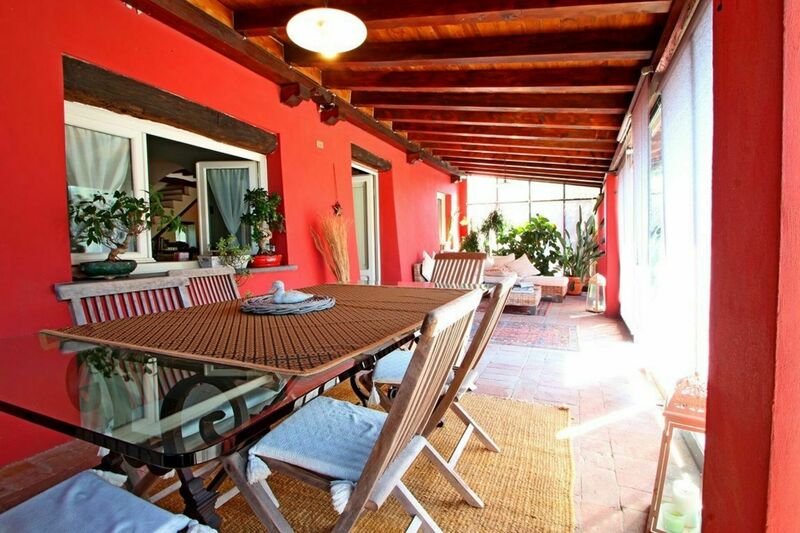 On the same side the covered dining area with dining table, breakfast table and large barbecue with pizza oven. Before the house a pleasant conservatory (enclosed terrace in glass with curtains ) with table and seating area. 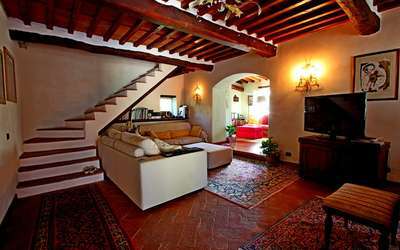 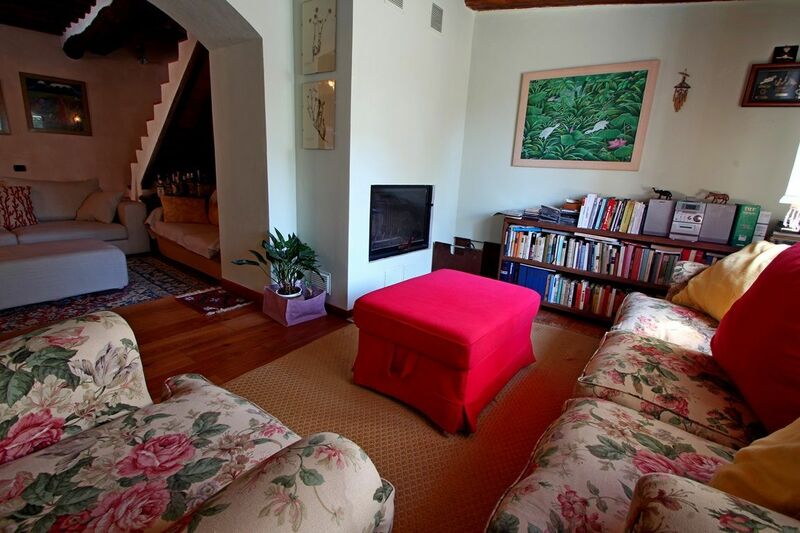 Ground floor: in the middle a living room with 2 sofas, TV and piano, stairs to the first floor. 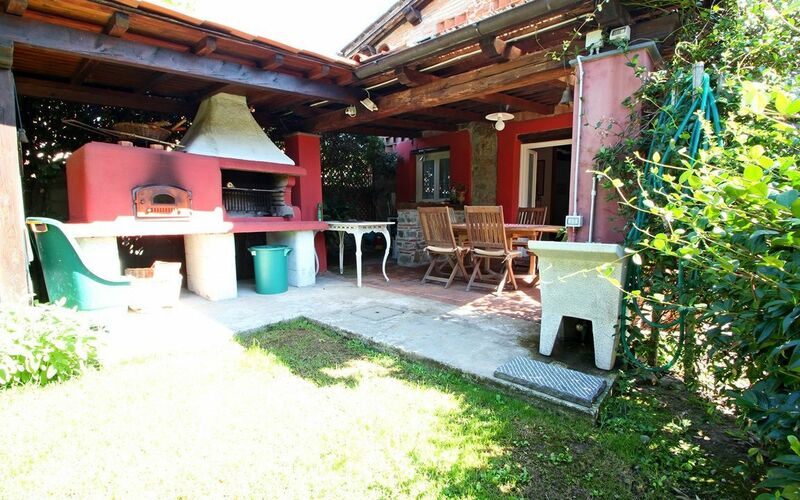 To the right open seating and reading area with a fireplace and then the dining room with kitchen with oven, dishwasher, coffee machine and toaster. 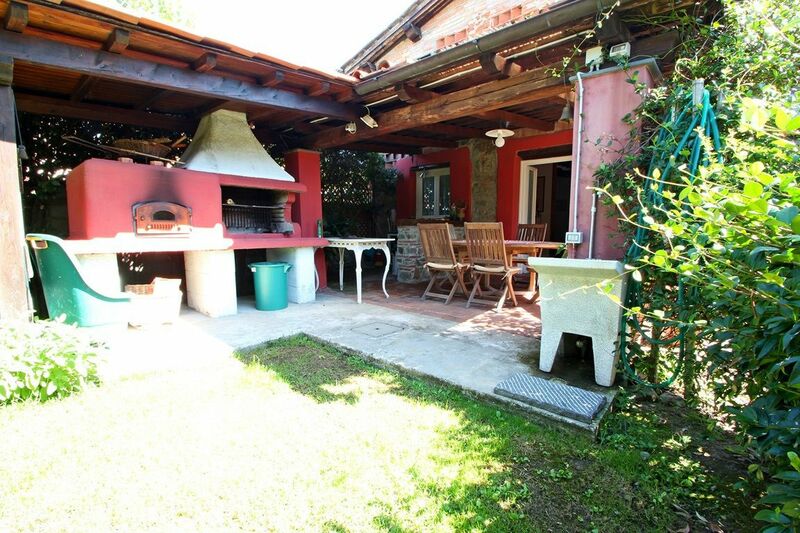 From the kitchen there is a door to the garden - directly to the dining area with barbecue. On the first floor: a hallway with Computer (internet included) and then 3 double bedrooms with double beds (one of which can be transformed into a 2 bed room) - and 3 baths. 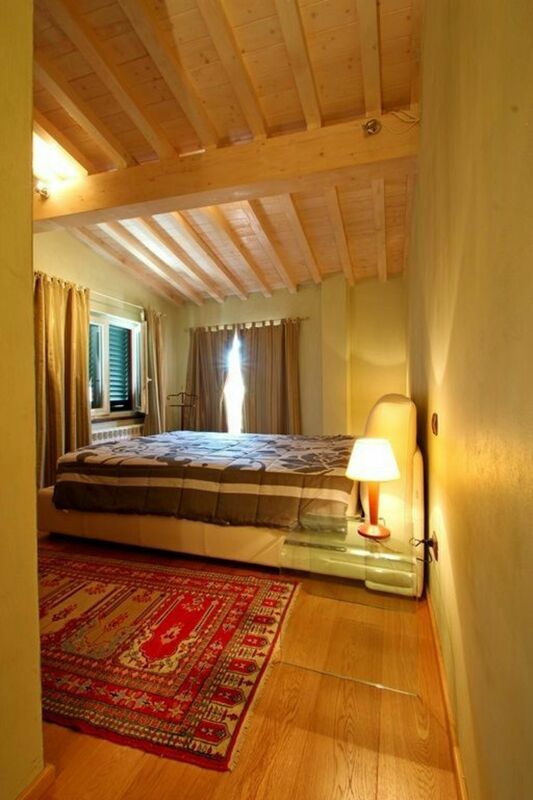 2 of them are so-called master bed rooms with en suite, the third bedroom has a bathroom accessible from the hallway. 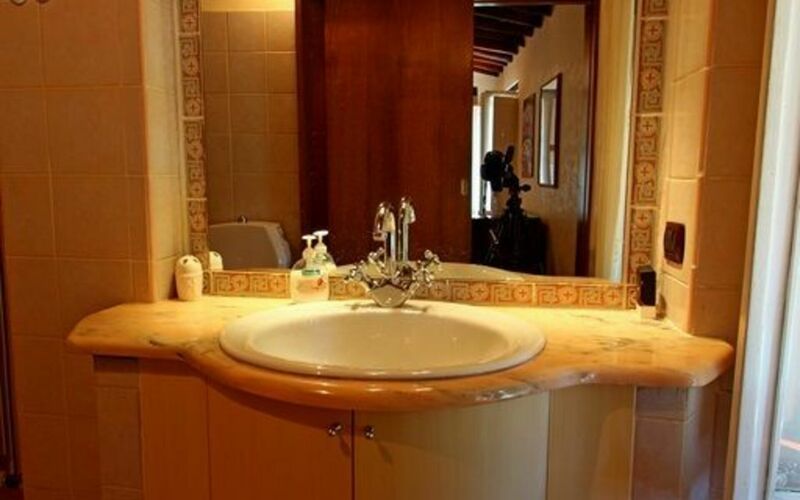 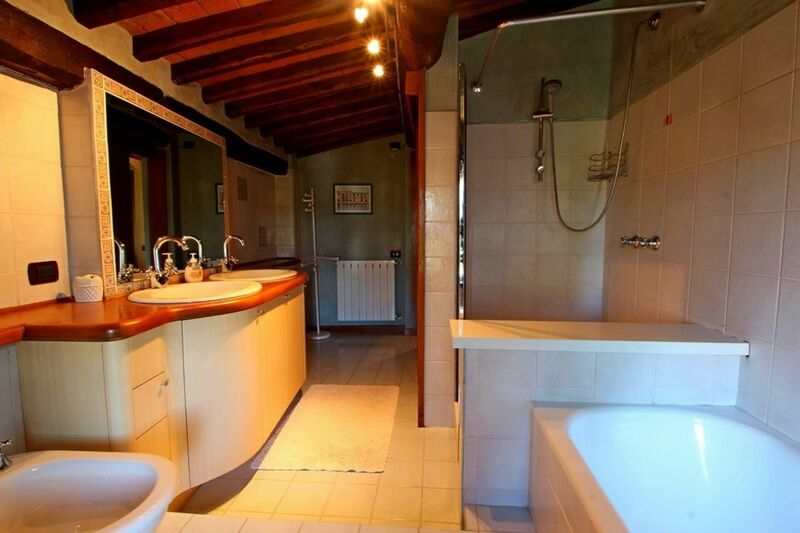 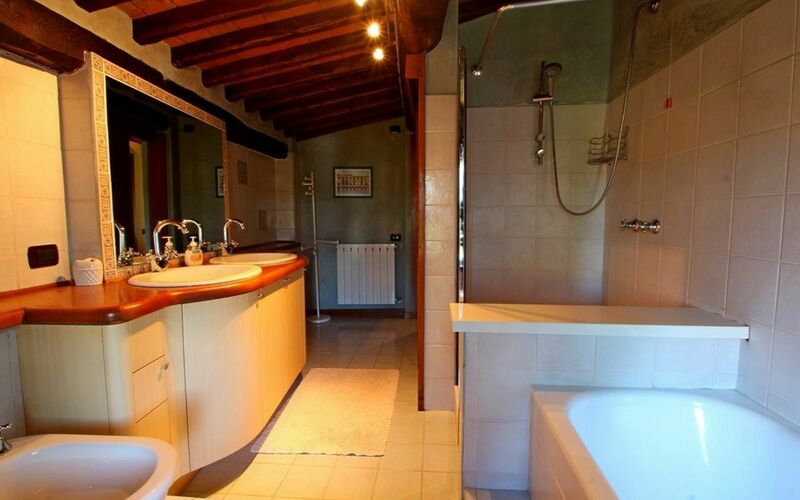 2 bathrooms have a shower and one has both shower as well as bathtub. Maid service on request and against payment.